Our main focus is the collection, preservation and display of original movie advertising material. Initially some 20 or so years ago we were solely focused on titles that played a part in our own childhoods, however as our collecting progressed, we gained a far greater appreciation for older titles, be it for their stunning hand drawn artwork or the merits of the movie itself. As a result we now spend all of our spare time hunting out and saving these original pieces of art from being lost forever. Some titles we restore, others we display ‘as found’ to help tell the story of the piece. We set up this website to allow us to sell some of the items that are duplicated within our collection/archive, with the intention to provide funding for the purchase, restoration and permanent display of pieces that we feel would be of interest to film buffs, art lovers or those who generally have an interest in vintage items from yesteryear. 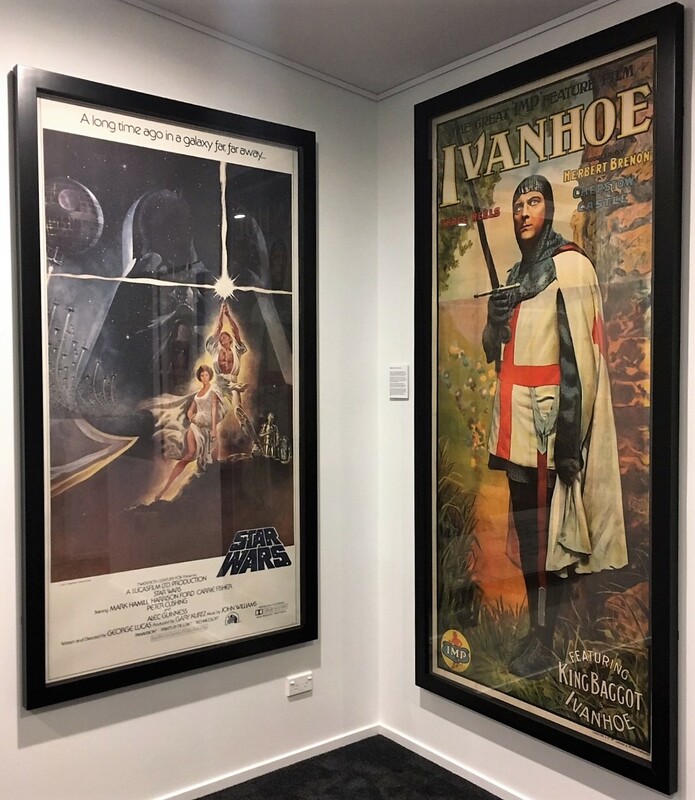 Vintage film/movie posters, lobby cards, programs or even press stills provide you with an instant conversation piece and connect people with their pasts. For example, who of us upon seeing Roger Kastel’s infamous ‘Jaws‘ poster, isn’t instantly taken back to their childhood and their reluctance to go swimming in the sea? Film posters are unique artworks designed to sell a movie in a single image. Even in this increasingly digital age they are are still used to help persuade us to buy a ticket. Instantly recognizable they are very much a part of our pop culture. This material was never meant to survive and was produced as disposable items. The vast majority of these would either be destroyed at the end of a films run or end up on the bedroom walls of theatre employees. However, a small number of pieces would find their way into private collections, which is where we source the majority of our own collection. If you have any old material hidden away in your attic or garage etc. and would like to see it saved/restored and put to use again, please get in contact with us and I assure you we will be in touch.